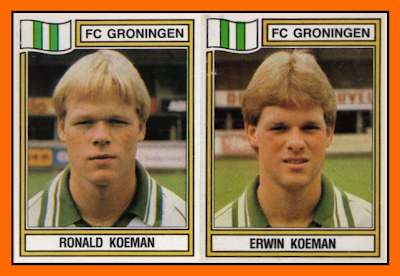 Martin Koeman is a former Dutch footballer. 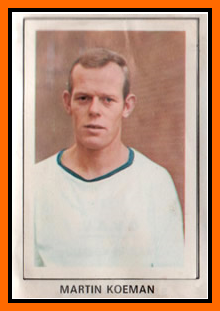 Koeman played professional football with KFC of Koog aan de Zaan from 1955–60, Blauw-Wit Amsterdam from 1960–63, GVAV/Groningen from 1963–73 and SC Heerenveen until his retirement. He was selected regularly for the Netherlands national football team but only played one match, against Austria on 12 April 1964. 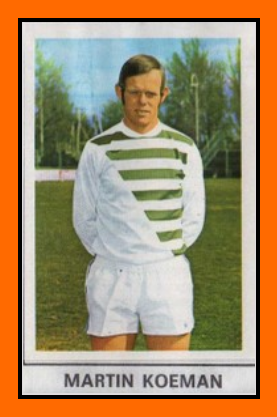 He played 447 games for GVAV/Groningen and scored 43 goals an respectable amount for a defender. Despite his respectable career, he is best known for being the father of Erwin and Ronald Koeman, who followed in their father's footsteps as footballers, with both of his sons playing for Groningen and the Dutch national team. Both Martin Koeman's sons started his professional career at Groningen. Erwin the older started in dutch first division in 1978 at 17. But he moved the next season at PSV befor a come-back at fmailiy club for the season 1982-83. Ronald started his carrer in top Dutch league at 17 to in 1980. He played onle one season with his great borther in 1982-83 just before he moved fot great Ajax Amstedam. 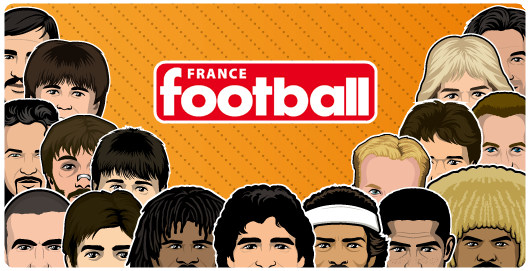 But the two brothers played together with the Netherlands national team and won the 1988 European Championship.